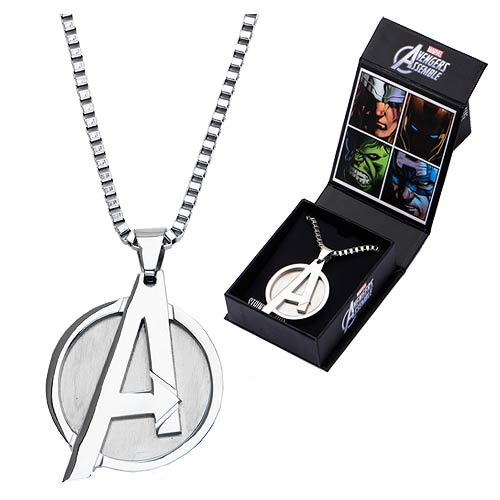 Show your love for The Avengers by wearing this Avengers A Logo Pendant with Chain Necklace wherever you go. Beautifully crafted of stainless steel, this necklace is perfect for any Marvel Comics or The Avengers fan! The pendant comes with a 24-inch chain necklace and comes in a presentable gift box. Pendant itself measures 1 1/2-inches in diameter. Ages 12 and up.